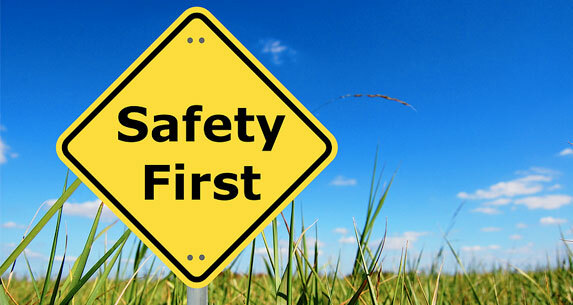 Safety should be the number one priority when it comes to installing and shelving an electrical device. You do not want to endanger your family nor your colleagues by choosing the wrong plastic enclosure to house your gadget. Unfortunately, despite the good intentions of keeping a household or workplace safe, a lot still do not know anything about the safety procedures and precautions when choosing the correct plastic enclosure for an electrical device. To somehow close the gap between the lack of knowledge and the variety of plastic enclosures available in the market, this article will share you some tips on how to choose the correct electronics enclosure to ensure safety. 1) How heavy is your electrical device? It is important to know the weight of your device before buying the enclosure. A perfect fit does not necessarily mean that it is the correct enclosure. 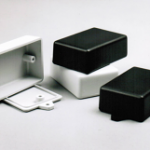 You should know that plastic enclosures also have maximum weight limits that it can support. 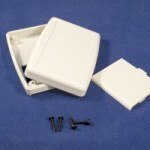 So before you purchase a plastic enclosure, know how many components will be installed in a given enclosure. Also, know where the plastic enclosure will be installed after enclosing the device. All these are very important details that are crucial to your safety. 2) Where will the enclosed device be installed? This is directly connected to the first question. It is important to know where the electrical gadget will be installed before you buy a plastic enclosure. Of course, common sense dictates that an enclosure with a wall mount is necessary if you will install it against a wall or cabinet or a ceiling mount if it will be placed on a ceiling. Aside from this very basic selection process, you also need to know the perils of the surrounding environment that may damage the plastic enclosure and the device inside it. 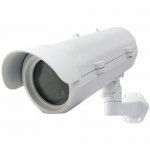 If you need to install it in an outdoor environment, then you better get an enclosure made from weather-proof plastic. Or if it will be installed indoors but will be exposed to extreme heat, then buy an enclosure with a flame retardant finish. 3) What device will be installed in the plastic enclosure? This question again is directly connected to the previous one. Aside from knowing where and what kind of environment the plastic enclosure will be exposed to, you also need to know what kind of electrical device will be installed in it. Why is this important? This is crucial because first choosing the best and correct enclosure will lengthen the life span of your device. Second, this will lengthen the life span of the enclosure. Third, this will ensure safety within the environment. Aside from these important information, you also need to know if your device will require access to batteries or slots for switches and cables and screen panels. For this reasons, you better ask more questions such as Are there chemicals that the device might leak out? Does the device heat up? Do I need switch panels and screen panels? Do I need exhaust slots? 4) Do I need any modifications done on the plastic enclosure? This is a very important question to ask because having modifications done on your plastic enclosure will ensure perfect fit of your device into the enclosure. For example, if your device needs a slot for switches but the plastic enclosure with the proper requirements do not have any slots then you can have it modified. With Simco, you can have modifications done by just sending the specifications via email. These specifications will be studied by Simco’s resident engineers. You can then expect a callback to finalize the modifications before it will be implemented onto the plastic enclosure. Aside from panel modifications to allow cable slots or batteries slots, you can have modifications on the external finish of the enclosure. 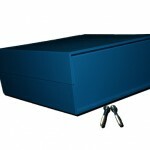 You can have your company logo etched on the external panel of the enclosure. Of course this is just for aesthetic purposes; you need to consult with the engineers to make sure that this will not affect the integrity of the device installed within the enclosure. 5) How much budget do I have? This question is placed last for a reason. Price should not be priority however we understand that budget is very important. This is just a reminder that the cheapness of the price should not be your sole deciding factor; nor is the steepness of the price ensures you of durability. You should satisfy the first four questions first before you consider the price of the enclosure that you will purchase. What we suggest is for you to find the enclosure that will satisfy all your main specifications and then once you have determined your choices, then you can consider your budget. Just abide by these tips and you will not go wrong. What Accessories Can Be Fitted With Plastic Enclosures? 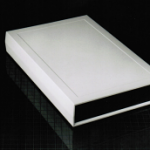 Custom Plastic Enclosures – What Customization Options Are Available?